Welcome to Don Mills Roofing! ​Our attention to customer service and top quality workmanship sets us apart from others in the roofing industry, and we take pride in our work. At Don Mills Roofing, Ltd. we develop long-term, satisfying relationships with our clients, many of whom have been with us the entire time we've been in business. Our attention to customer service and top quality workmanship sets us apart from others in the industry. ​Don Mills Roofing takes customer service seriously because we see roofing as primarily a service industry. We are a small business and we are accountable to you on both a personal and professional level. We value integrity and honesty above all else, and our name and reputation are at stake every time we service our clients. Don't just take it from us! Don Mills Roofing is a "HomeStars Best of 2017 Winner!" Read our HomeStars reviews or talk to one of our many satisfied customers. Our customers are our best sales people! Call us today for all your roofing needs. Or use our convenient online form - it will receive our immediate attention! 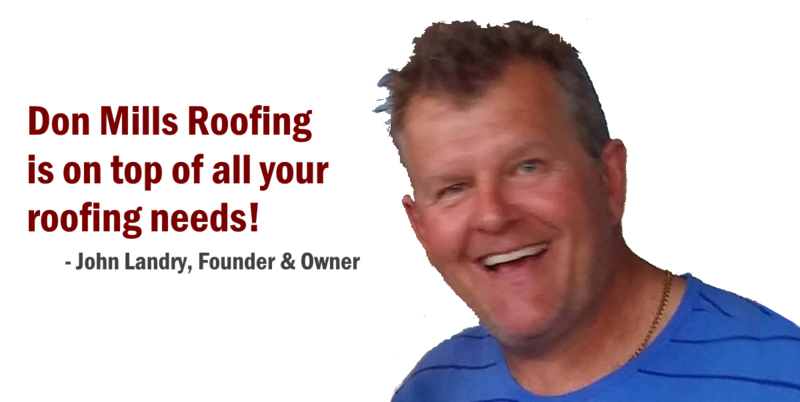 Don Mills Roofing is in business to serve you with our knowledge and quality workmanship. It is our sincere desire to continue to build on our reputation of dependability and excellent customer service when we work for you. OUR SERVICE AREA INCLUDES DON MILLS, SCARBOROUGH, NORTH YORK, EAST YORK AND TORONTO. Don Mills Roofing always provides FREE ESTIMATES. ​Call or email us to schedule your estimate today!